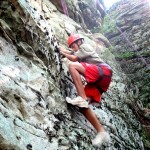 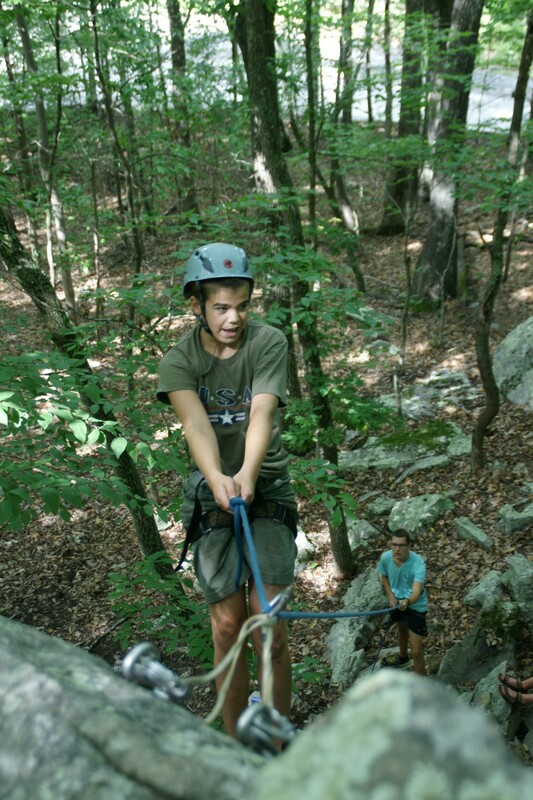 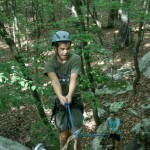 Greenbrier’s location within the rugged and rocky Alleghany Mountains gives campers many exciting cliffs and rock faces to climb. 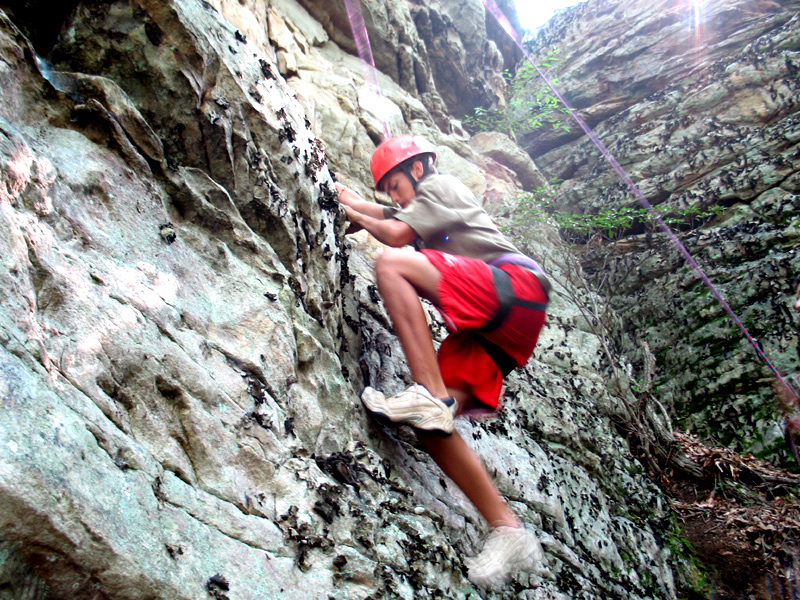 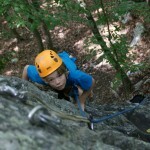 Every camper gets the chance to climb Cougar Rock or one of the rock faces on Flat Mountain. 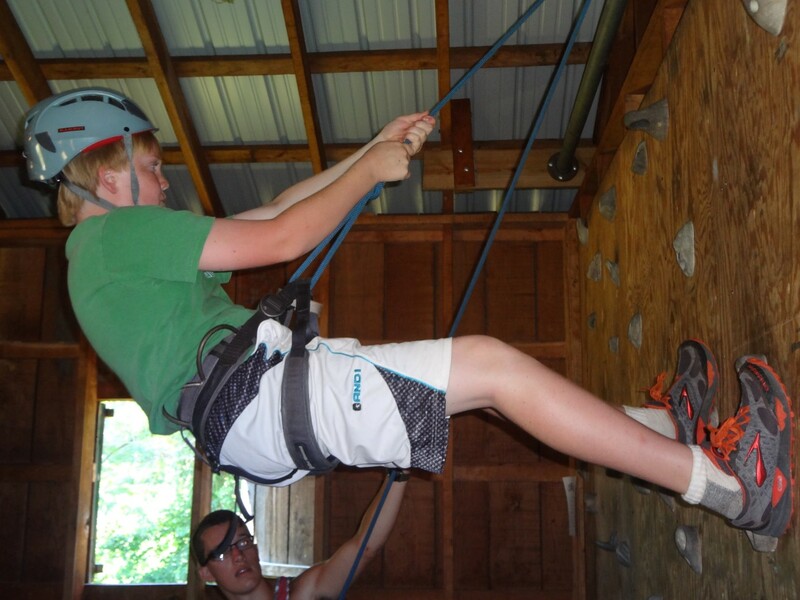 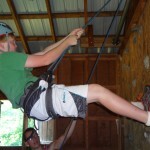 Our experienced staff starts the camper’s off on the camp’s climbing wall to help them gain a basic understanding of the techniques and safety requirements involved in climbing and rappelling. 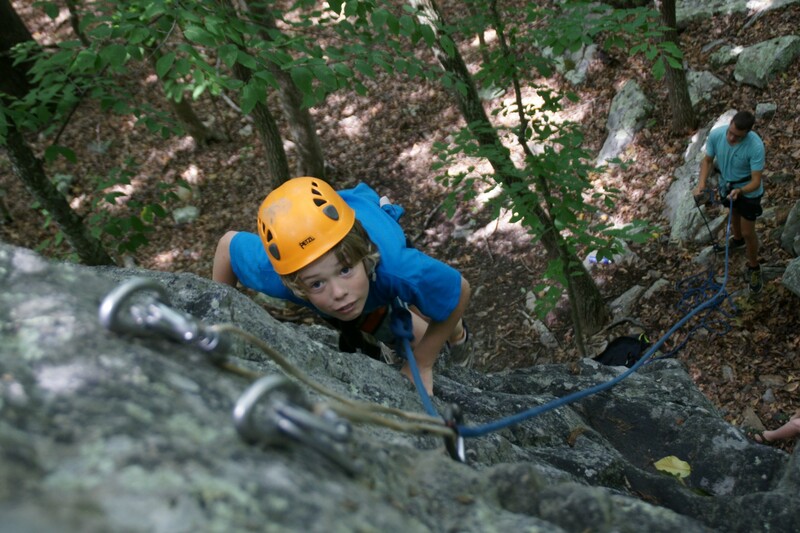 Based on individual proficiency, the campers gradually move to more difficult climbs, facing challenges that match their skill level.